Remembering San Franciscan Paul Rosenberg. As we gather in the month of November to give thanks, this column’s usual remembrances of jellied vs. whole cranberry sauce, mashed potatoes with-or-without lumps, and the merits/horrors of mincemeat pie will be put aside temporarily. Instead, it is time to reflect on how thankful all of us should be for those individuals who have occupied special places in our lives, but who have now left us. Among my own classmates from St. Cecilia School, St. Ignatius, and University of San Francisco, several have passed on this past year. Out of hundreds of former co-workers, at least one familiar name appears among the Chronicle’s obituaries every week or so. Many of my long-time Parkside and Sunset District neighbors have also departed San Francisco for the very last time recently. With the loss of each one, I am reminded of the many shared moments that we enjoyed together as our paths crossed in this life. One of those people in particular—whose passing on Father’s Day this past June left a considerable void in the lives of many of us—is Paul Rosenberg. Born to a Richmond District couple in 1945, just a week after VE Day, Paul was a true San Franciscan with deep roots. 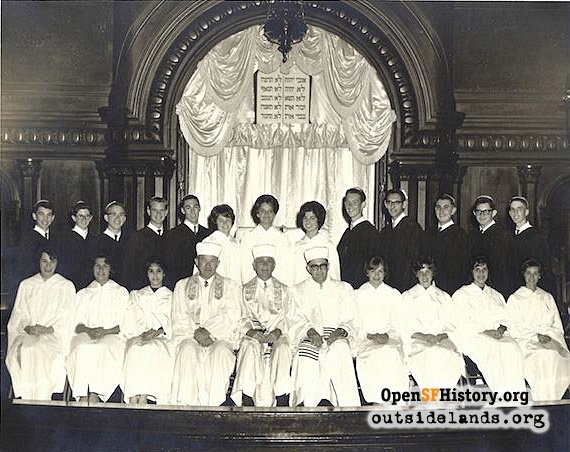 His parents were also San Francisco natives—and one set of his grandparents held their wedding ceremony at the old Temple Beth Israel on Geary near Fillmore Street well over 100 years ago. Paul spent his entire life in the Richmond District, eventually returning to the home that he once shared with his parents as his family expanded to include his beloved wife Sherrie and their son Coleman. Three generations of his family all attended the same neighborhood elementary school, and over the years, three generations of Rosenbergs have been active members of various San Francisco labor unions. 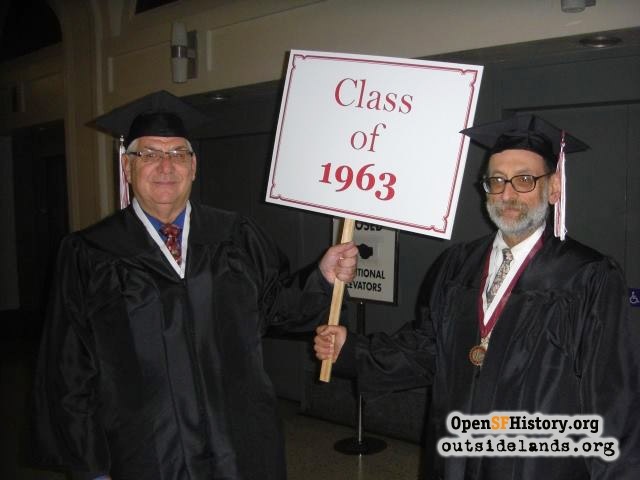 A precocious only child, Paul graduated from Lafayette School, Presidio Junior High, and Lowell High School—with many of his cousins as fellow Lowell alums. At this point, he would likely interrupt me to chime in with “three-and-a-half years of old Lowell at Hayes and Masonic, and final semester at new Lowell on Eucalyptus (which he deliberately pronounced YOU-CAL-IH-PEE-TUS) Drive—from the fall of 1962 until mid-year graduation on January 29th of 1963.” Paul was a faithful attendee at the annual meal hosted by that first graduating class from “new Lowell” on the exact date of their graduation. The group also met on several other occasions each year. From an early age, Paul took an interest in state and local politics, often memorizing the names of candidates and ballot propositions from the daily newspaper. He also studied the winners and the runners-up, along with dates and offices held by previously elected officials, as well as the outcomes of hundreds of old propositions and ballot measures. Most of this encyclopedic knowledge was contained in his vast mental storehouse, but he admitted to having extensive paper and photo files, too. Continuing in his own words, “I went back East to college—Cal-Berkeley.” It came as no surprise to anyone who knew him that his 1967 Bachelor’s Degree was in bio-statistics—a rare and difficult field in which he achieved great success while many of the rest of us ended up pursuing far less arduous courses of study as Liberal Arts majors. Following college graduation, Paul began his career as a statistician with University of California-Berkeley. He then moved to a new position in the health industry for nearly a decade before joining the City & County of San Francisco Human Services Agency in 1976. There, he worked for the next 33 years at a series of increasingly responsible assignments managing computer systems that controlled the income and daily well-being of tens of thousands of local residents. At his retirement ceremony nearly a decade ago, lavish praise was made for his technical talents, along with his fairness and just treatment of co-workers and members of the public who depended upon his department’s work. 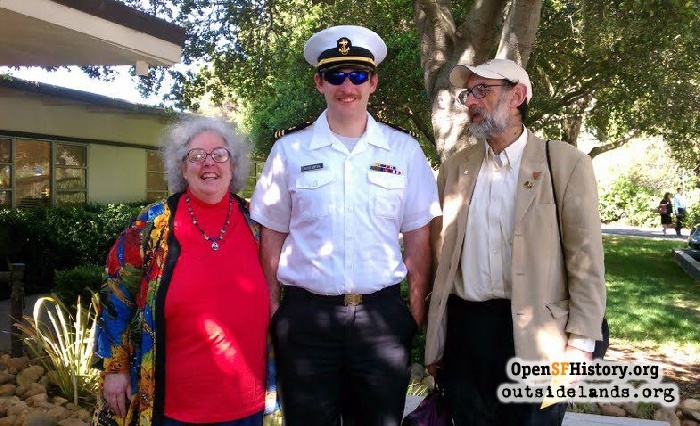 Five years later, their son Coleman was born just one week prior to the Loma Prieta earthquake, thus rounding out the family. Paul and Sherrie were two only children who had an only child—and the three of them formed a warm and loving family unit. 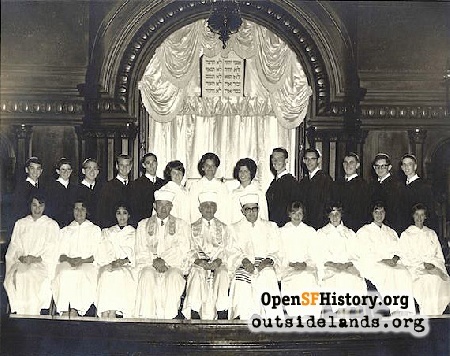 He was certainly the only person in the world who could name every single member of the San Francisco Board of Supervisors since 1850, along with the years that they served, and he could tell stories about many of them. In fact, when a city-run website was established several years ago, Paul was astounded to find that it included a grossly inaccurate listing of previous Board members, and that some Supervisors of recent vintage, including Lieutenant Governor Gavin Newsom, had not been included at all. He quickly provided City Hall with a corrected listing of all previous Supervisors and their terms in office, going back more than 160 years. Even after taking this extraordinarily generous step, Paul shook his head in silent disbelief when a City Hall employee stated publicly that the Board’s 6-to-5 female majority that was seated in January 2017 was a first for San Francisco. He quickly reminded the Clerk of the Board that women had held an identical majority more than 35 years earlier—from 1981-85: Ella Hill Hutch (succeeded by Willie B. Kennedy), Wendy Nelder, Louise Renne, Carol Ruth Silver, Nancy Walker, and Doris Ward. Paul then noted that there was an even larger 7-to-4 female majority serving from 1993-97: Roberta Achtenberg (succeeded by Susan Leal), Angela Alioto, Sue Bierman, Annemarie Conroy (succeeded by Mabel Teng), Barbara Kaufman, Willie B. Kennedy (succeeded by Leslie Katz), and Carole Migden. Several years ago, when members of a lunch group were lamenting the 1963 closure and subsequent demolition of Market Street’s Fox Theatre, Paul announced, “You can place the blame on those mean old grown-ups who were living and voting in San Francisco back then,” and he then related the story behind Proposition I (eye) on the November 1961 ballot. That measure called for the City & County of San Francisco to buy the Fox and to operate it as a performing arts center. Paul explained that passage required only a simple majority of the votes cast—50% plus one vote—in order to save the classic theater. Astoundingly, given the public lamentations both then and now about the loss of this architectural treasure, the measure was rejected with nearly a 60% NO vote. Sadly, the steel ball and bulldozers were on the scene just 18 months later. Among Paul’s many hobbies, he was deeply devoted to all things related to MUNI, which was his preferred mode of daily transportation. As an historian, he could look at a vintage photo of rolling stock and immediately name the model, route number, and street location of the image. He was also often able to identify the year, based on the political ads displayed on the side of the vehicle, and someone once joked that given a few minutes, he could probably name the operator as well. In 1977, Paul was among a small group of rail fans and history enthusiasts who helped found the non-profit Market Street Railway, serving as president and remaining active in its operations for decades, often wearing the group’s distinctive logo in the lapel of his coat. 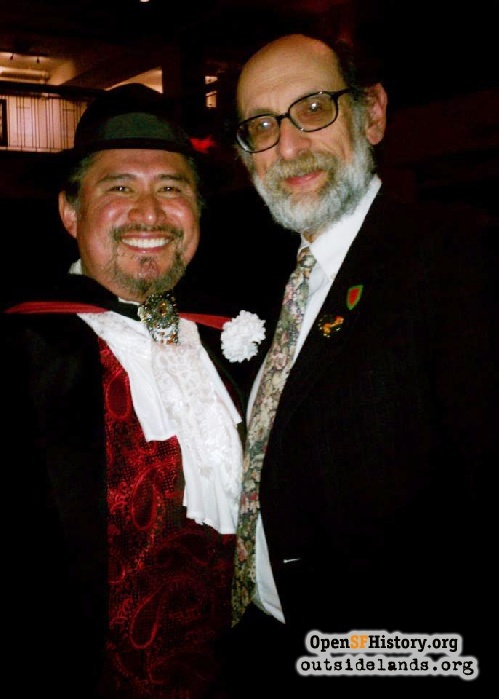 These and other historical interests led to Paul’s involvement as a founding member of the San Francisco History Association in 1982. That group began after several memorabilia collectors met at the first San Francisco Fair at the Moscone Center. While exhibiting their collections, these individuals began discussing their shared interest in local history. They decided to form a group, the San Francisco History Collectors Association, to exchange stories and information about historical artifacts—and as the group grew, the word “Collectors” was dropped from the name. Paul was a regular attendee and also a speaker at many of the group’s monthly meetings, and in 2013, he received the organization’s prestigious Dr. Albert Shumate Memorial Award. In October of 2017, that group announced the formation of the Paul Rosenberg Legacy Fund. 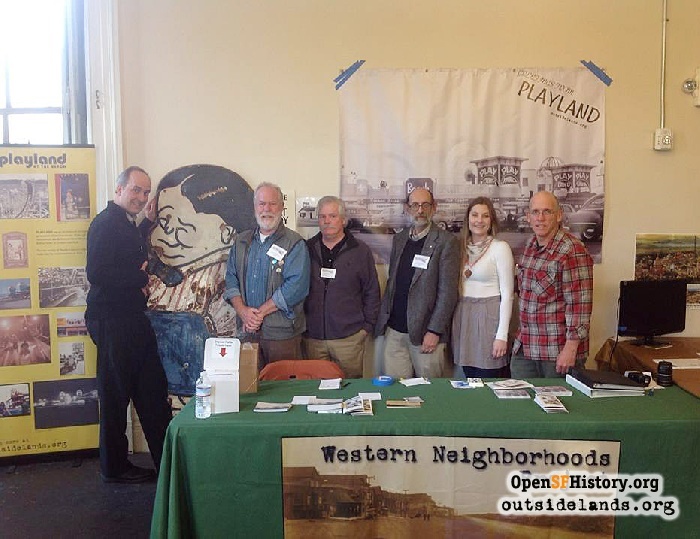 Paul was naturally drawn to Western Neighborhoods Project soon after its founding in 1999. He was an early member of the group’s Board of Directors and continued to serve on its Advisory Board. Over the years, he researched and wrote about topics ranging from a mysterious Richmond District bombing in 1927 to the so-called “fake rocks” on Point Lobos Avenue opposite the Cliff House, to paved-over, forgotten streetcar tracks at 22nd Avenue and Balboa. In addition, he was an invaluable resource and fact-checker extraordinaire for many of the rest of us involved in WNP. 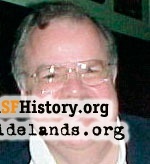 He was a popular guest on the group’s podcast, participated in a number of “History Minute” videos, assisted as a regular commentator on walking tours, provided much-needed staffing at public events, and was a dedicated volunteer who helped identify thousands of vintage images on the OpenSFHistory site for the enjoyment of others. 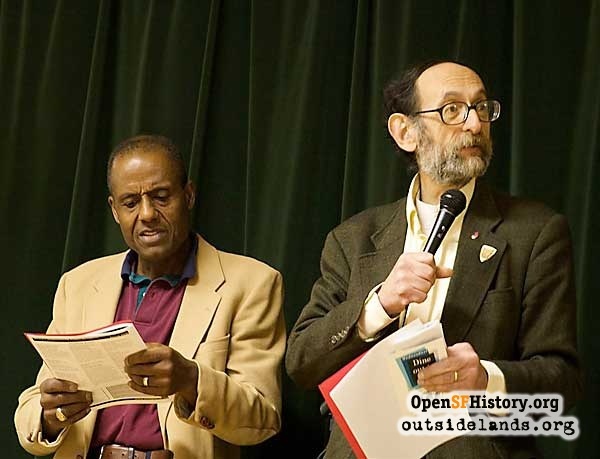 In 2008, Paul and his long-time friend Noah Griffin (the two were only a few months apart in age and grew up near one another on 40th and 41st Avenues in the Richmond District) teamed up as co-Masters of Ceremony at an early Richmond History Day event. The gathering, which supported local libraries, also served to remind residents of the long and varied history of an important San Francisco neighborhood. Everything Paul was interested in, he was interested in passionately. He was a true Renaissance man, active in many circles, a generous benefactor of numerous causes, and great friend to many. In Yiddish, he might be called a mensch—which translates to “a person of honor and integrity”. We are fortunate to have passed this way together with him—something for which we can all be grateful as we sit down around the Thanksgiving table with family and friends this November. Not surprisingly, Paul’s life accomplishments are far too numerous to be contained in a single column, so tune in next month for the conclusion, "Remembering a Life Well-Lived." Page launched 27 October 2017.